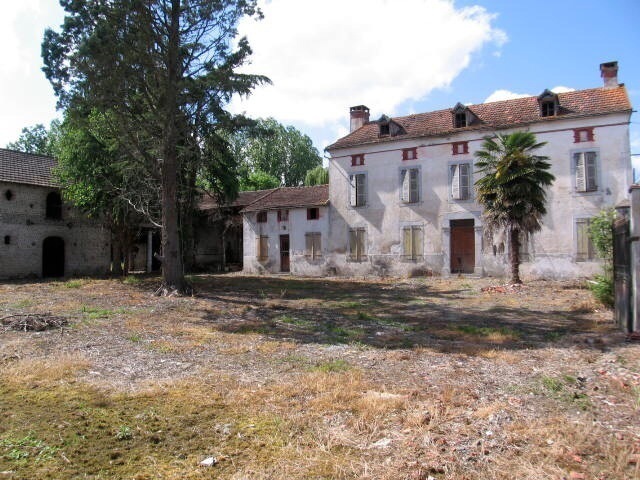 And so I have caught up with myself… The story of our house in France is almost up to date. Which is why my blog posts have become much slower. I could have told you about Uncle Richard and Stuey’s new year visit – of how we had ‘welcome drinks’ in the Salon to celebrate and then danced outside to Wham hits. But I suspect only we really find ourselves amusing and I have the photos on my phone for memories.!!!! And this summer is Arthur’s last one before Secondary School. 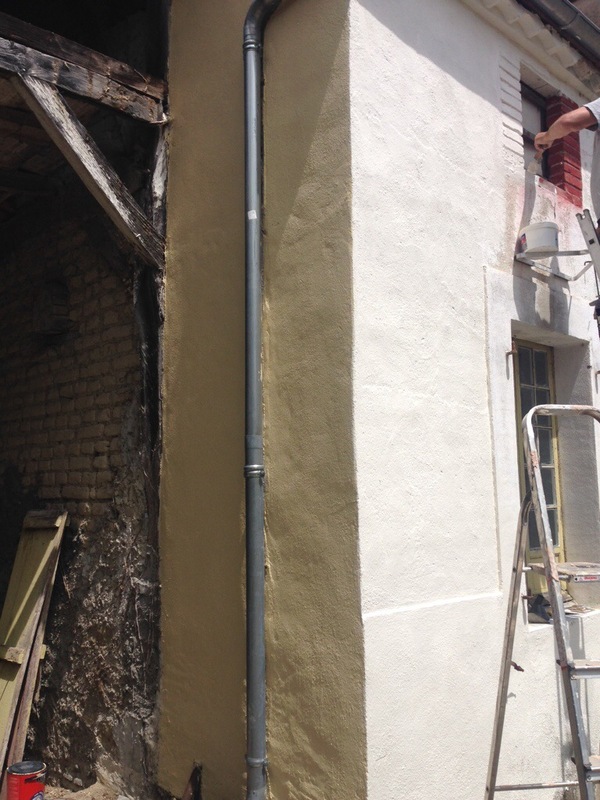 And if that weren’t milestone enough – we decided it would be the summer we paint the exterior of La Maison. My Dad has passed comment about why we hadn’t ‘smartened up the front a bit’ before now. And my answer is always – when you have no loo to pee in or kitchen to cook in, nicely painted gates seem rather a luxury. 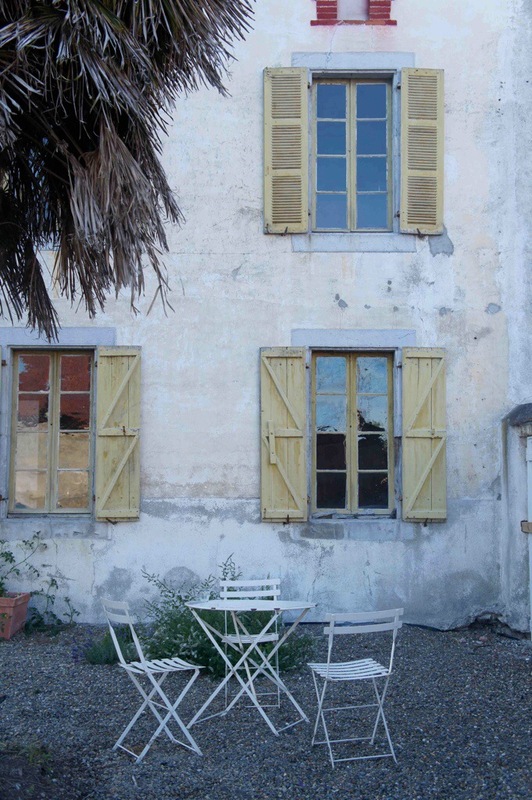 And then we needed bedrooms to sleep in and bedrooms for guests to sleep in and extra bathrooms for extra guests and so the faded walls and peeling shutters slid further down our list of priorities. And so my colour plans began. I decided to keep it simple with beigey, cream walls and white shutters. This would keep costs down (white eggshell cheaper than coloured and easier to repaint) but it would also keep the house relatively true to its history. After a thorough search and tester potstravaganza of fifty shades of cream I settled on one called doves bum or some such and took it to Homebase. “Oh no love – we don’t do colour match masonry paint,” said a helpful man. “But look, this premixed one is virtually the same – Cornish Cream” he added. And so I bought 80 litres of it. And we drove the 80 litres to France. And Peter could hardly wait to get started so on the first day of our Hols he painted a side wall – just to check I still liked it…. And it was dark yellow!!!!! Not cream at all but a horrid, dark, colour that would not allow the sunlight to bounce off it on hot days… I tried to like it, thinking of the 80 litres of it we had. But I couldn’t…. And Peter, who knows me well, knew that I would moan and complain for the next fifteen years if he continued painting the house a colour I wasn’t happy with. So we went to Bricot Depot to see if they had anything preferable. But that’s for another blog post….